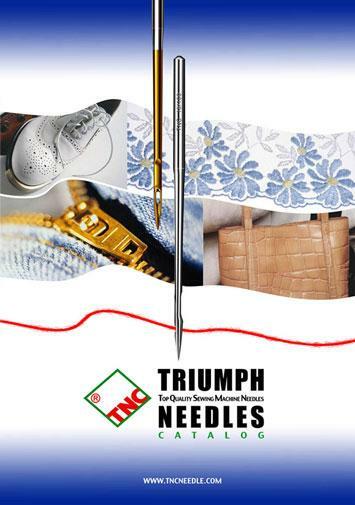 TNC Embroidery Needles, TNC Leather Point Needles - Triumph Needle Corp.
Best heat-treatment equipment with full series of Germany technology --- It's the guaranty of top quality. New choice of the 21th century --- TNC heating-proof "CM" ceramic needle. Triumph Needle Corp. (TNC) was established in 1988 by Mr. M. T. Chen, with the aim to manufacture the highest precision industrial sewing needle. The company at that time was partnered with the world renowned Leo Lammertz Nadel Fabrik GmbH. After splitting in1994, TNC become an independent company. Combing cutting-edge technology with an acute attention to detail ensures that TNC can produce the highest quality industrial sewing needle. Hundreds of thousands of sewing needles are sold each year to over 40 different countries. Our customers in every market can confirm both the quality of our needles and our outstanding reputation. 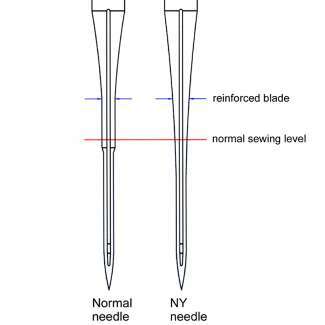 As a result TNC is the number 1 sewing needle manufacturer in Taiwan. coated needles and our Ceramic coated needles are leaders in their respective markets. absolute best product at the best price.